Regardless of your culture or your age, eating with your hands is fun. Flouting social convention and just digging in with your fingers provides a whole other level of epicurean enjoyment. And one of the most entertaining hands-on foods is monkey bread. 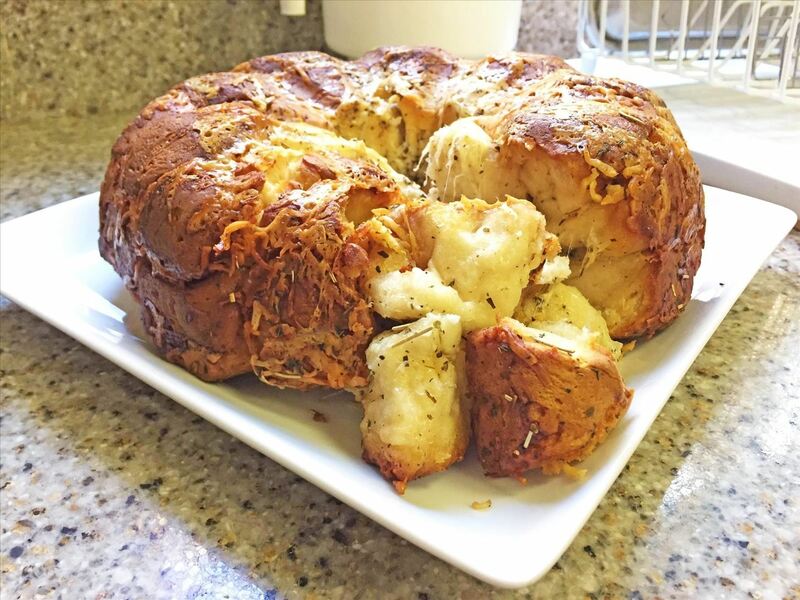 Food historian Tori Avey provides a comprehensive history of the origins of this pull-apart treat, including the important detail that no actual monkeys are involved in the making of monkey bread. Originally a savory culinary creation from Southern California, monkey bread became more popular as a sweet treat in the 1970s. Whether you make the dough yourself or buy it in the tube, coat it in cinnamon sugar or toss it with cheese and herbs (like this garlic Parmesan version below), monkey bread is sure to delight both kids and kids-at-heart (or at-hand). 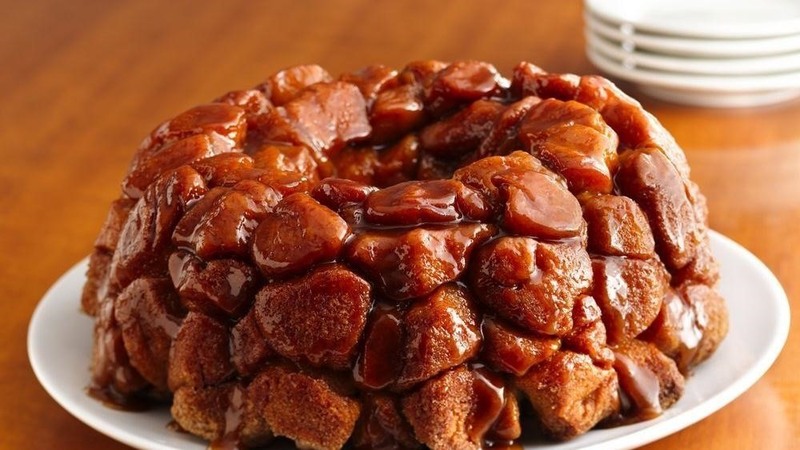 This basic, sweet monkey bread recipe from Pillsbury includes cinnamon and sugar, as well as the option of adding nuts and raisins. 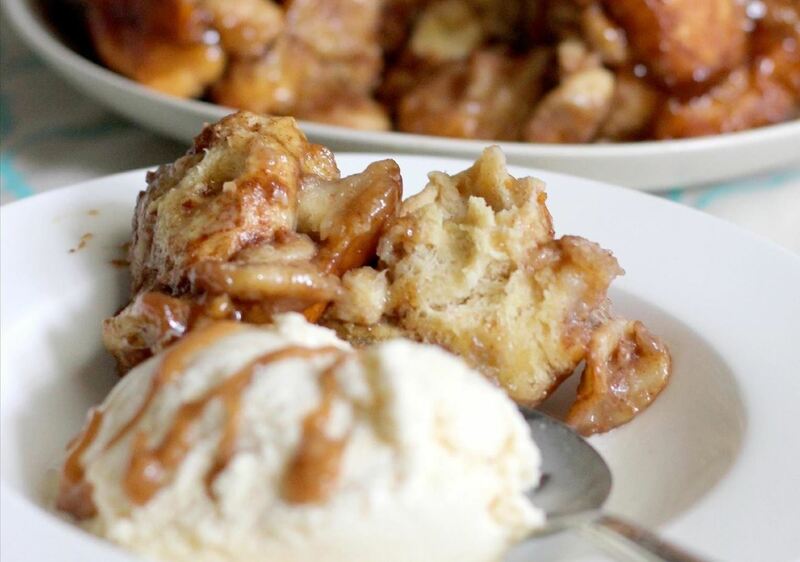 Add-ins to your sweet monkey bread are limited only by your palate and imagination. You can include chocolate kisses, apples and caramel, or—if you happen to be feeding an actual monkey—bananas! Thwacking open the cans of dough is a lot of fun, but some folks like to start from scratch. This recipe from Tessa of Cookin' Chemist (which she found via Brown Eyed Baker) starts with homemade dough and includes the traditional cinnamon-sugar mixture but bumps things up a notch with a creamy glaze. 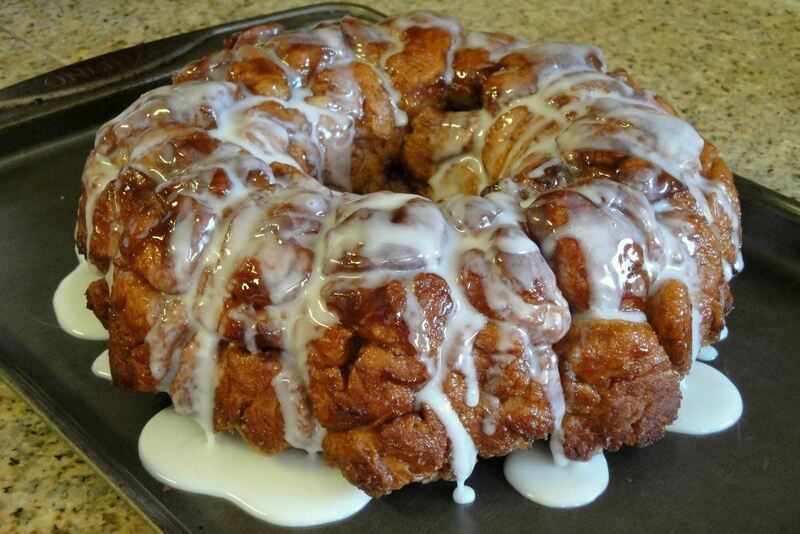 Of course, you aren't stuck just making sweet monkey bread. The savory versions make a great side dish or even a meal in themselves. Donna Curie provides Serious Eats readers with a from-scratch, savory version of monkey bread that can be made in a square, glass casserole, a cake pan, or (as is traditional) a Bundt pan. As I mentioned before, using canned dough makes monkey bread a much more time-friendly recipe. Although... I have to confess that I always pop open the tubes of refrigerated dough with an equal mix of both trepidation and anticipation. 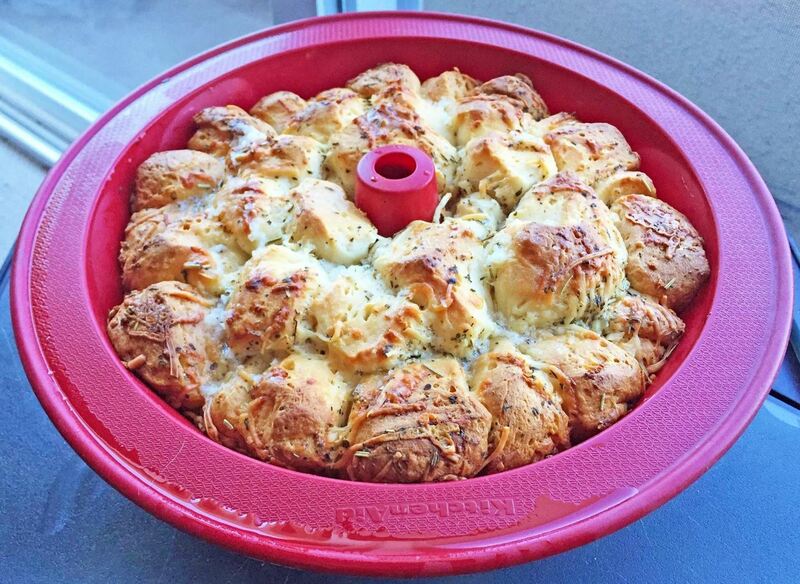 But I can overcome my foolish fear of the exploding can if it means I get to make this cheesy garlic monkey bread, adapted from the Food Network. Generously grease a 10-inch Bundt pan. 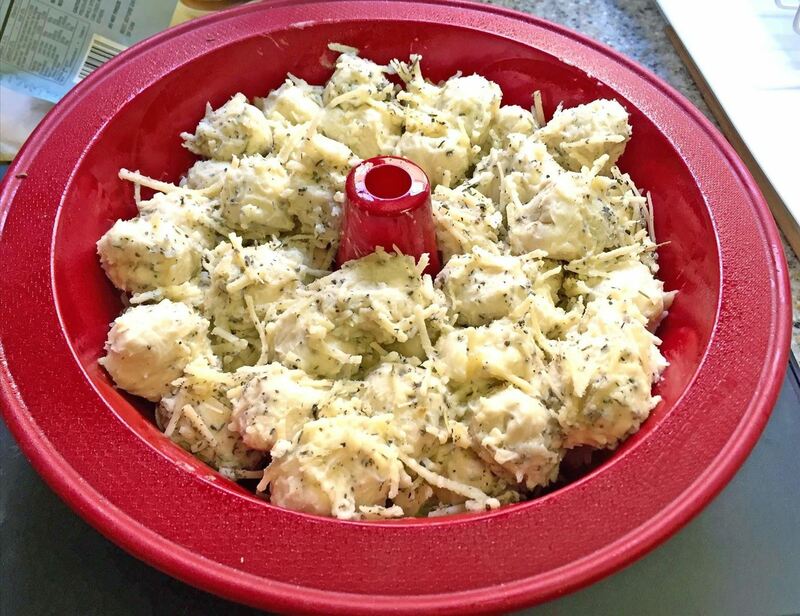 Mix the crushed garlic into the butter and, in a separate large bowl, mix the dried herbs with the shredded Parmesan. 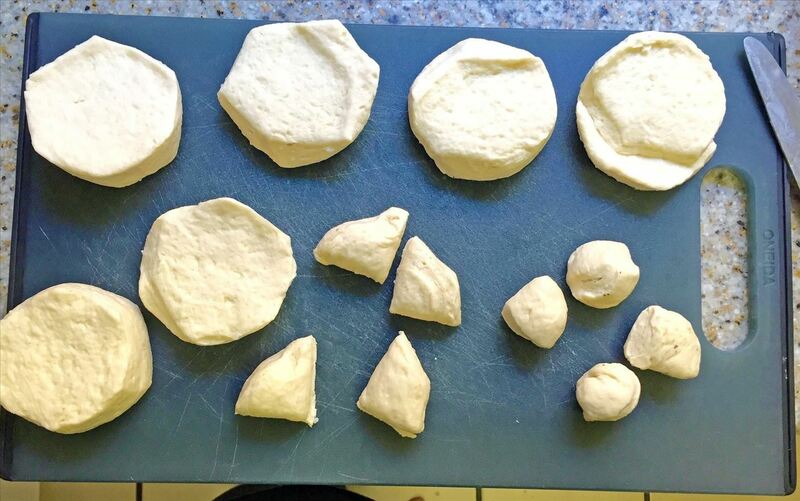 Break apart the individual biscuits and cut them into quarters, as seen below. Roll each quarter in a ball. Dip all the balls in the melted butter/garlic, then roll in the herbed Parmesan. Layer the dough in a Bundt pan, making sure that the balls are evenly distributed throughout. Pour any leftover butter and sprinkle leftover herbed Parmesan onto the balls. Cover with foil and place on a baking sheet (which will catch any drippings). Bake for 35 minutes covered, then remove foil and bake for another 10-15 minutes or until monkey bread is golden brown. Loosen the edges (don't forget the center column!) with a knife, then carefully invert the mold onto a large plate. This monkey bread is best served while warm from the oven, but you can break off pieces and microwave them later. Just like their sweet counterparts, there are myriad items you can add into your savory monkey bread. 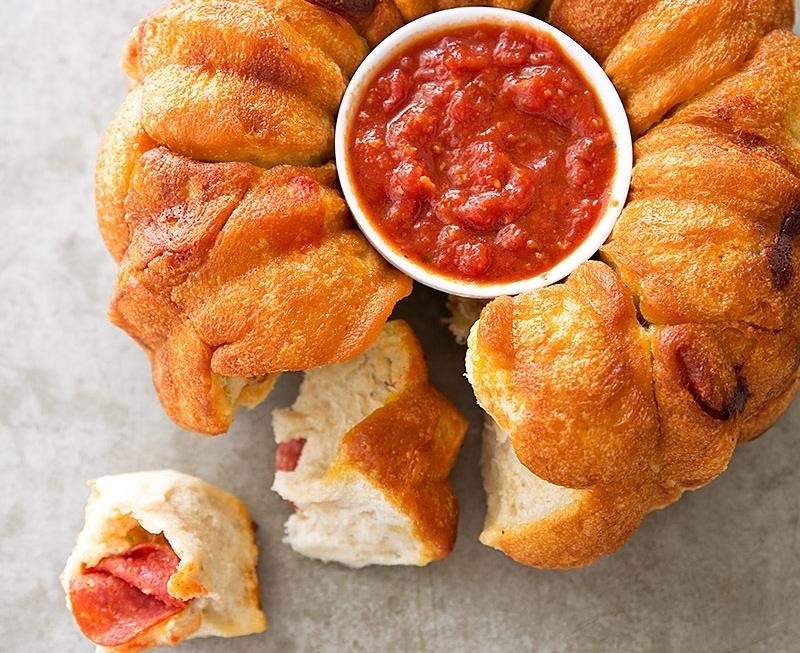 For example, make pizza monkey bread by swapping out pizza dough for the biscuits, then cut up some pepperoni, use a blend of Italian cheeses, and make a marinara dipping sauce. This recipe from Cook's County is both easy and delicious. 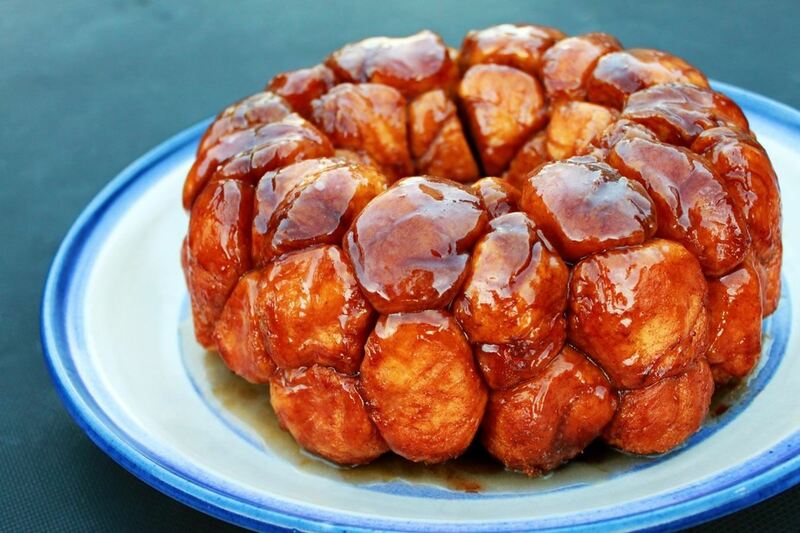 However you choose to monkey around with your monkey bread, you are sure to create a treat that is as fun to eat as it is to make. 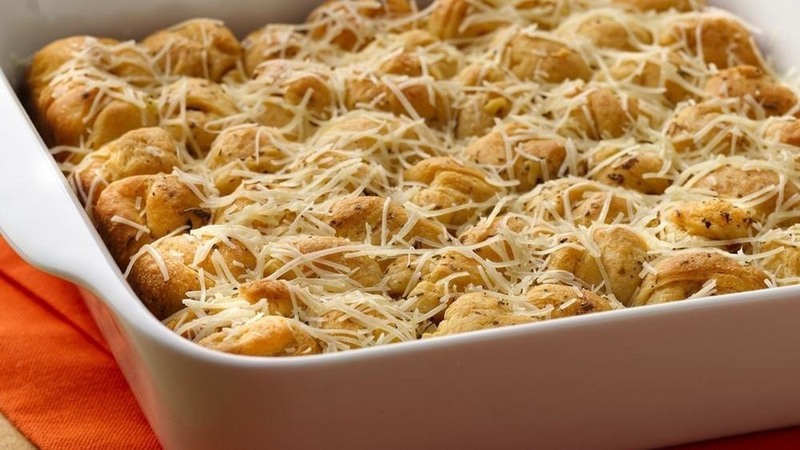 What sorts of variations of monkey bread have you tried, and what are you excited to make? Let us know in the comments!